5-30-2016 Millfield Ohio – Saturday marked round 4 of UTV GNCC Racing in Millfield Ohio at the Penton. Factory UTV support racer Kyle Chaney did not get the best of starts but managed to get into the woods second behind Tim Farr. Farr set a very fast pace and battled the whole race until a mechanical failure on his car forced him to slow down. Chaney got the Checkered flag and his Second GNCC Win of the year. 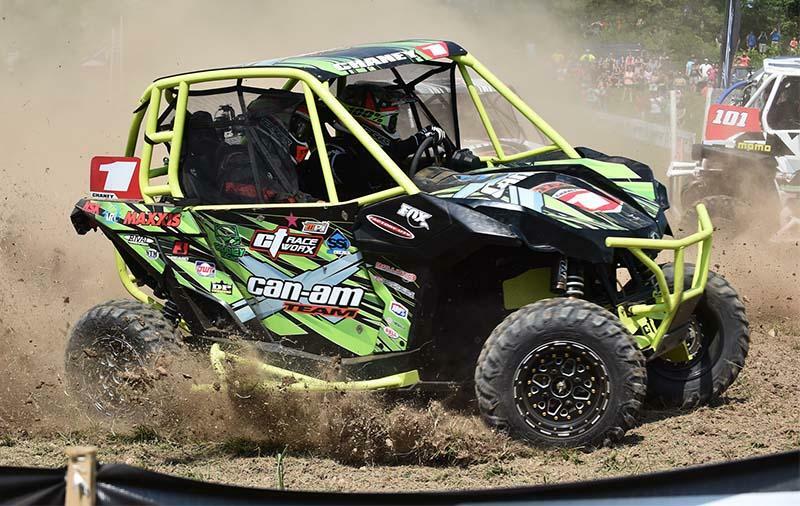 Can-Am Off-Road Mavericks swept the podium once again with Farr in second and Factory UTV Supports Cody Miller in third. This race puts defending champ Chaney Second in points behind Miller with only 2 GNCC rounds left.